Canadian rock ‘n’ roll renegades FIST CITY are heading to the UK this week to promote their UK debut album “it’s 1983, Grow Up” released via Black Tent Press on July 8th. The Wonder Years‘ highly anticipated The Greatest Generation will be released on Hopeless Records on 13th May and the praise is piling in. Front have awarded a perfect score and declared them “one of the most perfect bands in the world.” Rock Sound‘s review was a 9/10 and stated that the band are at the “absolute peak of their career and songwriting prowess.” Wow. 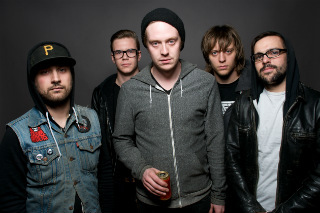 Canadian punks Trigger Effect will release new album ‘What’s Left To Eliminate?’ through Dry Heave Records on 27th May and the band have just released a music video for the album’s epic closer which you can check out here. Tour dates in June! The Body Rampant are a brand new act to the Division roster who are going to warp your mind with their cerebral, conceptually conceived musical stylings. Debut album ‘Midnight Mayfair’ will be released in July but you can take a listen to the first track to premiere here. Dinosaur Pile-Up‘s 2nd album Nature Nurture will be released on 17th June. The first music video to emerge is for killer track ‘Derail’ & it’s a fantastic cinematographic homage to Hitchcock & Tarantino with a special guest turn. The clip premiered here. Hunter Valentine take to the UK! All-girl rock and roll trio Hunter Valentine will be hitting the UK for a few live dates this month and they’ve also just unveiled a new music video for the track ‘Pulse’ which you can check out here. New album ‘Collide And Conquer’ will be released in the UK on 17th June. We’re over the moon to introduce Decade – young pop-punk upstars currently on tour with Don Proco and Pure Love. 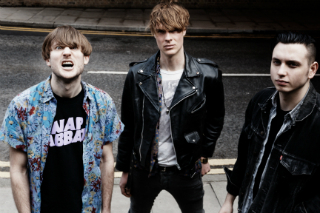 Their debut album, produced by Romesh Dodangoda (Funeral for A Friend, Twin Atlantic, The Blackout) will be out later this year. 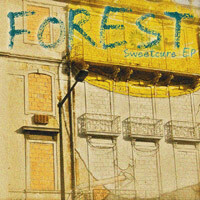 New UK bands do not come better than Forest. Their deliciously scuzzy debut Sweetcure EP will be released on Tip Top Recordings 0n May 13th on a slab of sea blue 7″ vinyl. Get to know it it here. 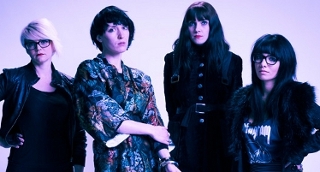 Having been wowed by them in SXSW, we’re extremely pleased to announce that Wax Idols have joined the Division roster. 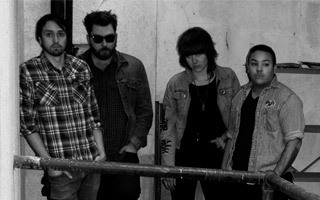 Their album ‘Discipline & Desire’ gets a June release through Slumberland Records. 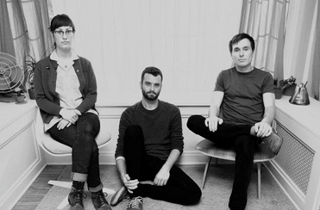 Indie-rock trio Lemuria announce their third album ‘The Distance Is So Big’, out June 17th. Keep your eyes peeled for UK dates coming soon!